The future of Groves Chapel is still a subject of much debate, as it has emerged that there were other offers to buy the building. (See my comment/update for more.) Seems a good time to highlight the fact that Groves Chapel isn’t the only former place of worship needing a new owner. This one is also for sale: the Salvation Army citadel on Gillygate. Pictured here on a bright sunny morning in August 2004. I heard earlier this year that it was to be sold, but it’s only recently that I’ve noticed a ‘For Sale’ sign on its impressive frontage. I don’t have a photo of that but I do have a few more taken ten years ago, when I paid proper attention to its various details and to the fact that it is a very striking building. It’s hard to imagine how it could be reused. 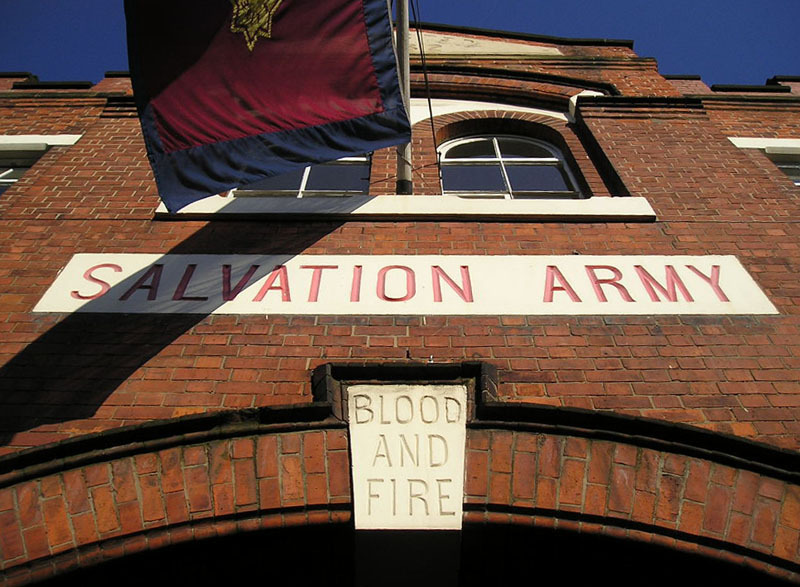 It’s so very Salvation Army, with the crest and that bold and confident ‘BLOOD AND FIRE’ above the entrance. Couldn’t really be turned into a bar, could it, as other former places of worship have been. Seems the Salvationists have already had a fairly pragmatic approach to the building as the interior images available via the estate agent’s website show the galleried interior clearly modernised, modern seating in particular. I don’t know what it was like inside when built in the late 19th century so I’m not sure how much has been taken out, but it’s clearly been kept up to date and adapted to serve the many functions needed. 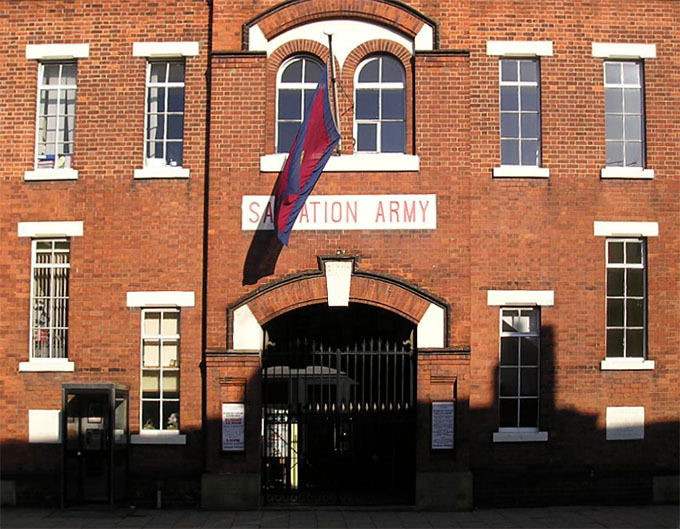 I think we’re all aware of the work of the Salvation Army, but it’s worth searching online for information on its history. In relatively recent times I’m sure I remember the Salvation Army band coming through the Groves area playing hymns at Christmas, late 1980s. Maybe someone else can confirm. 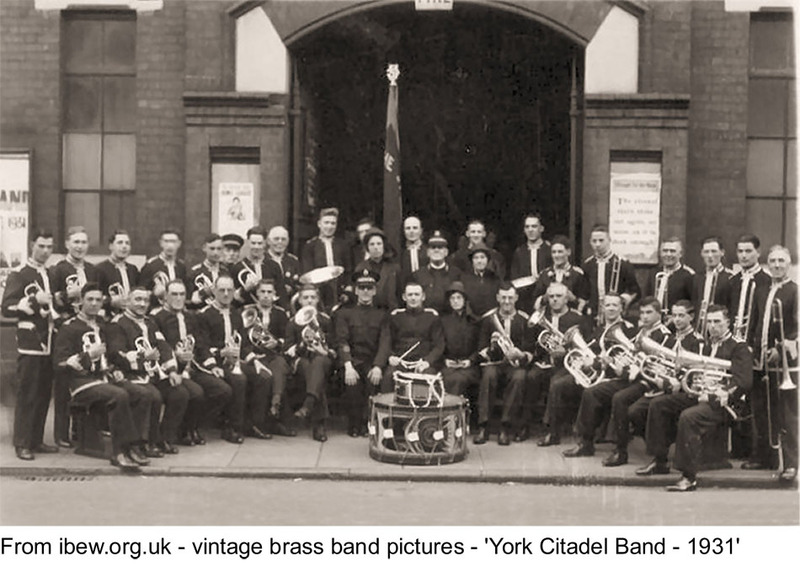 Meanwhile here’s a photo of the band of 1931 outside the Gillygate citadel. My grandfather was a Salvationist, though I didn’t discover this until quite recently, and I think he’s one of the men on this photo. As someone born into and brought up in York Salvation Army I am guttted that they have decided to sell the Citadel…I worshipped at that church for 23 of my 49 years….my wedding was the last in the original building before the alterations were completed in the early 1990’s…..
Clearly this building is too big and expensive for them to maintain, in the 21st century. 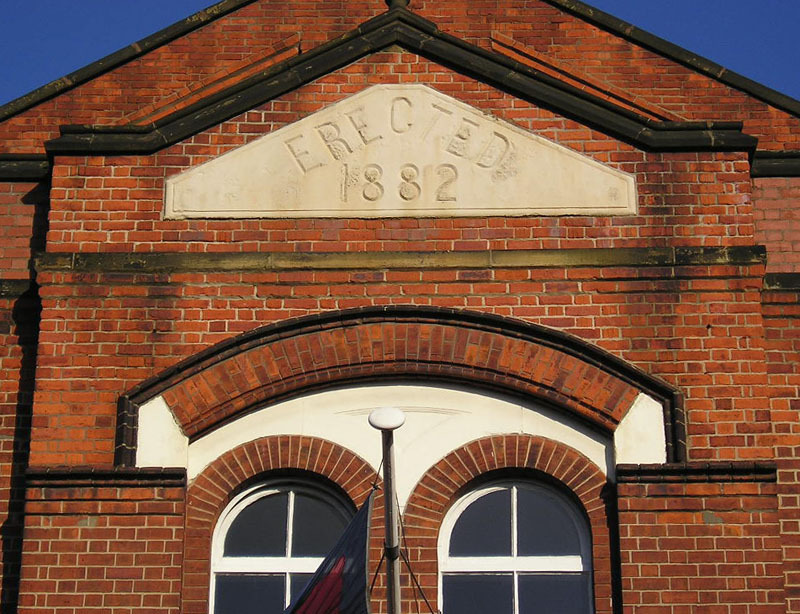 It was built in 1882, and cost £3,265. In 2014, it’s for sale by ‘informal tender’. Groves Chapel seems to be the focus of much concern. I wonder if there will be the same level of interest in what happens to this building. It appears well fitted-out and could clearly be adapted to a range of community/educational purposes. Let’s hope that in the future it serves the community still in practical ways, as the ‘Sally Army’ always did. the property is a Grade II Listed Building. It has been used as a place of worship continuously since 1882 and this is therefore an established use. 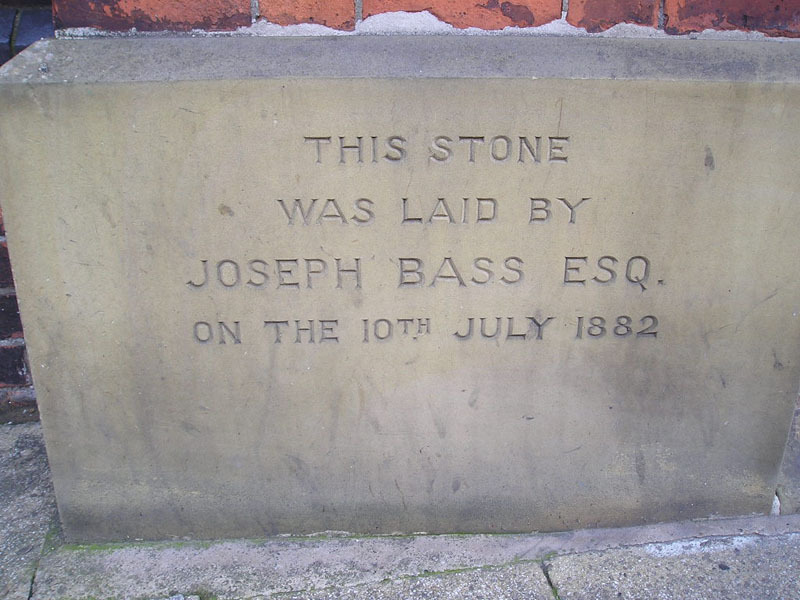 The foundation stones remain, at the front of the building. Reminding us, even if we don’t believe that faith can move mountains, that it can — or could — build big bold and confident places of worship. The other one must be Banyan York on Little Stonegate? Originally the Ebenezer Chapel, opened in 1851. Used as a chapel for about 50 years apparently, then printers Coultas & Volans occupied it. More recently part of Borders I think, before Banyan?